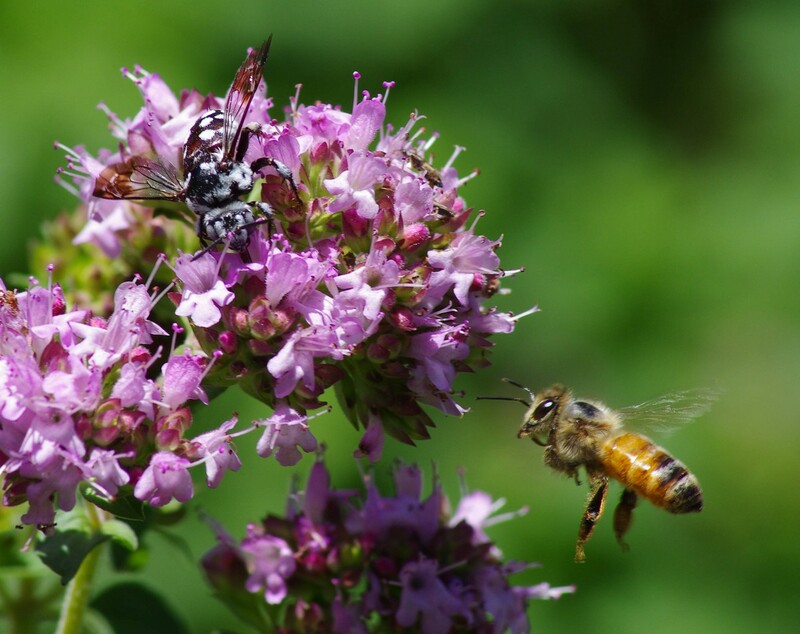 I captured a photo of the eusocial Honey Bee Apis mellifera and parasitic Chequered Cuckoo Bee Thyreus caeruleopunctatus together on oregano flowers in my garden today. 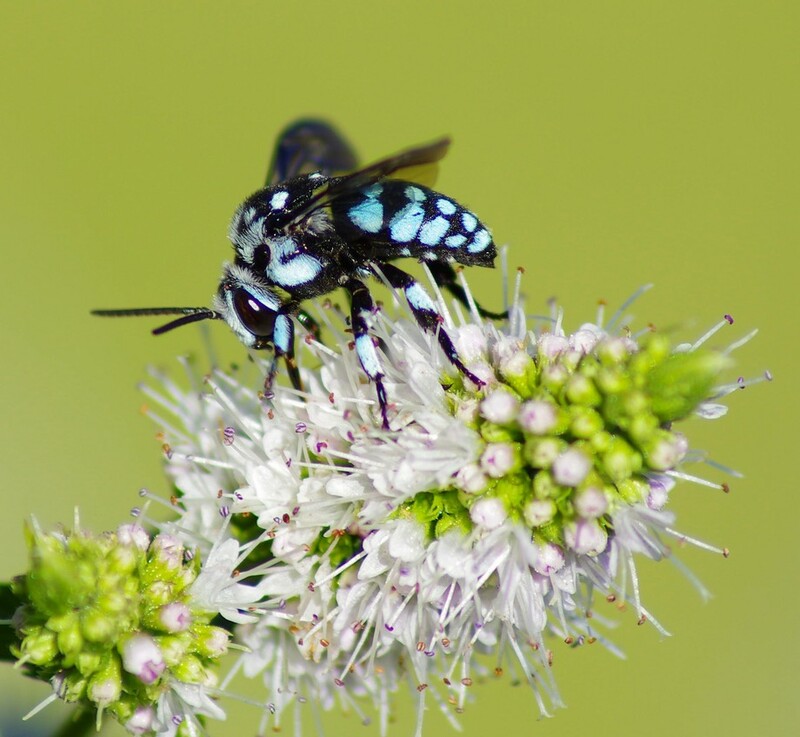 The Chequered & Neon Cuckoo (Thyreus nitidulus, also common in my garden in summer) bees parasitize the nests of the solitary Blue Banded Bee Amegilla cingulate. I wonder though whether the Chequered bee and the Neon bee are in fact morphs of the same species similar to polymorphism in the Monarch butterfly which has a white morph resulting from apostatic selection. Both are basically the same, even the spotted pattern, except that one has white spots and the other bright neon blue spots. 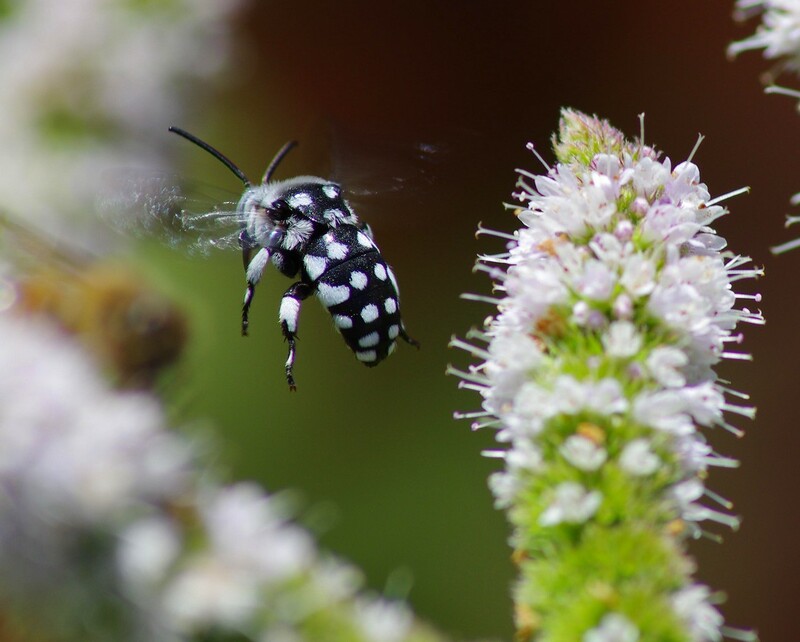 The frequency of the Chequered bee and Neon bee seems to be inversely related, with temperature as the determinant. Of the two, the Chequered bee seems to metabolically prefer hotter temperatures. Using a refrigerator test, the Neon bee was clearly more responsive at lower temperatures (no bees were harmed in the testing). Also this year was hotter earlier than last year resulting in a switch, at least in my garden, from Neon bees being more frequent last year to Chequered bees being more frequent this year. 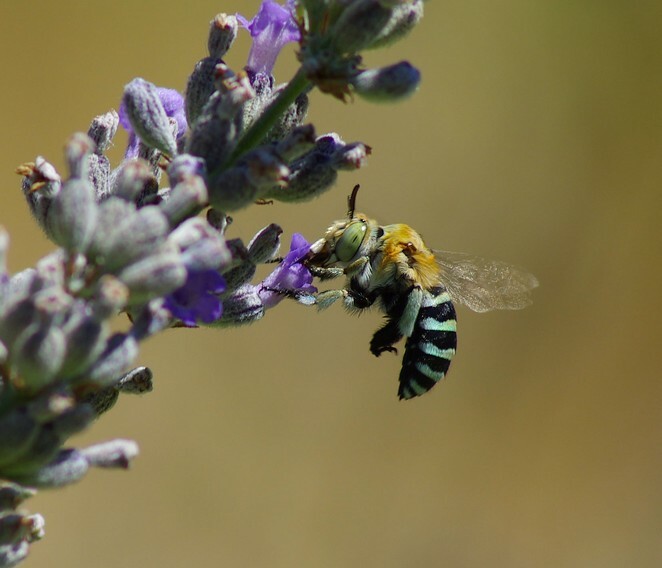 If these two bees are in fact morphs of the same species, a reason for the phenotypic colour morphs could be due to Neon bee being regularly harassed by large black wasps with a similar neon blue glow. This harassment seems to be of a mistaken sexual nature rather than predation but has an energy cost of continually buzzing the wings as a defence compared to the Chequered bees that aren’t harassed. The black wasps are more common with hotter temperatures.